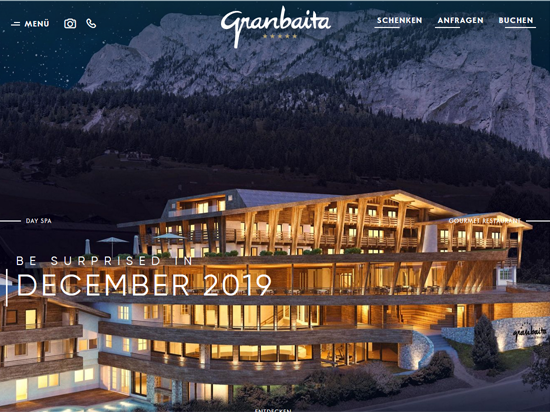 Information It gives you the possibility to have an amazing view on the Sella Group while enjoying all the comforts of a 4 star Superior Hotel. Relax in the Wellness and Spa area with indoor and outdoor swimming pool. Try one of our specialities listed on our á la carte menu, together with one of our selected wines or just spend your vacation practicing sports: You can spend marvellous journeys on the skis in winter or go for a walk around the Sassolungo or with the mountain bike in Summer.